Never miss a visitor, with Ring you're always home. 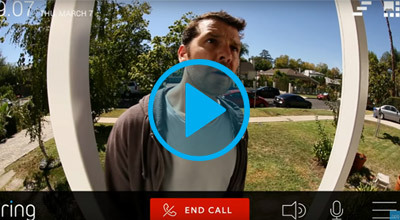 The Ring Video Doorbell lets you talk to visitors without having to open the door, from anywhere. Use your Smartphone to answer the doorbell or watch your recorded footage anytime, using the optional Cloud Storage (additional cost). This means you will never have to worry about missing a delivery again and can feel better about leaving your house unattended. 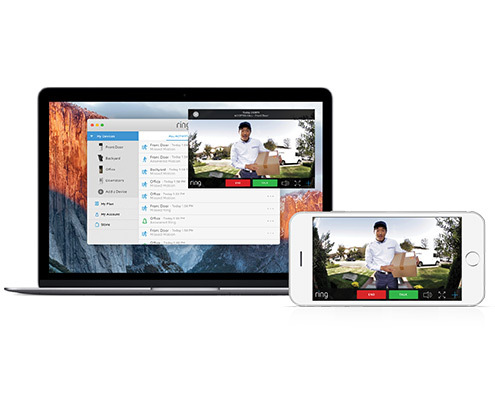 With the Ring Doorbell you can monitor your home from anywhere via your smartphone, tablet or PC! This incredible doorbell lets you see and speak to any visitors, friendly or not! 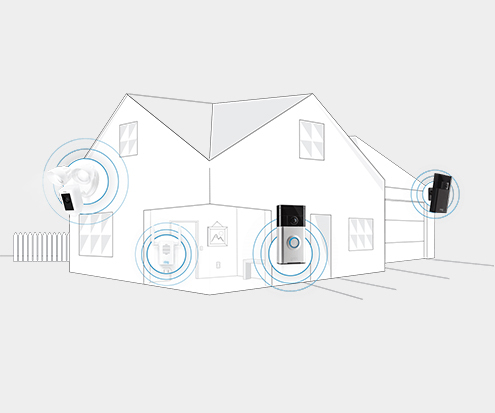 With Two-Way Talk you can seemlessly speak with anyone at your door via the built-in speakers & microphone. Ring will display a video feed to your smartphone, allowing you to communicate with a visitor, telling a post-man where to leave your parcel, etc. You can ensure that it's safe to answer the door from the comfort of your seat. The built-in Night Vision allows you to clearly see who's at your door. The video is streamed directly to your smartphone, letting you know whether it's safe to answer the door, without having to put yourself at risk. You can easily communicate with the person at the door, scaring off intruders or anyone suspicious. 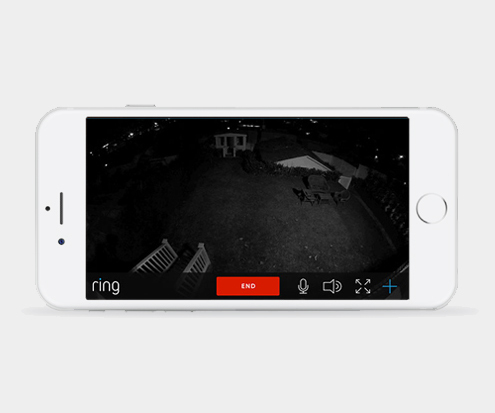 Attach your Ring Video Doorbell to the outside of your house. It can be wired into an existing doorbell or powered by the internal battery and charged via USB. 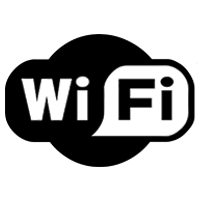 The built-in camera is capable of streaming video directly to your mobile, whether you are inside your home or not. Giving you the ability to always be aware of who has come calling, wherever you are! The Ring Doorbell includes a motion sensor, which will alert you upon motion detection. This means that you can view a live feed of your doorstep, when someone has been detected outside. 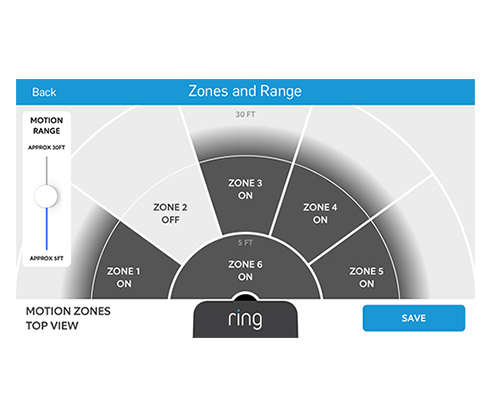 You can even adjust the sensitivity of each zone and angle, so you won't be getting notified everytime someone walks past your house.